Providing you the best range of bordered printed single bedsheet, printed single bedsheet, open flower print single bed sheet, fruit design single bed sheet, block printed single bedsheet and designer printed single bed sheet with effective & timely delivery. We are presenting a quality tested array of Bordered Printed Single Bedsheet. The Bordered Printed Single Bedsheet we offer is widely demanded amongst the clients for its beautiful patterns and prints. Skillfully designed these products are known for its availability in the market at reasonable rates. We are presenting a quality tested array of Printed Single Bedsheet. The Printed Double Bed Sheet we offer is widely demanded amongst the clients for its availability in various sizes, designs and patterns. Exclusively designed these products are able to provide extensive look to the beds. 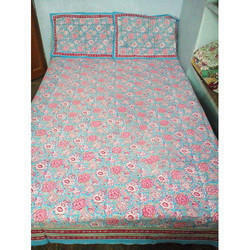 A wide assortment of Open Flower Print Single Bed Sheet is offered to our clients. 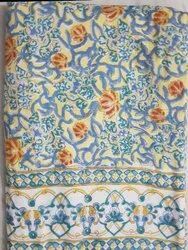 The flower Double Bed Sheet we offer is recommended amongst the clients for its beautiful prints. These products are available in the market at reasonable rates. Moreover, we test the quality of these products under rigorous quality checks before being introduced in the market. We are presenting a quality tested array of Fruit Design Single Bed Sheet. The Jaipuri Double Bed Sheet we offer is widely demanded amongst the clients for its availability in various sizes, designs and colors. 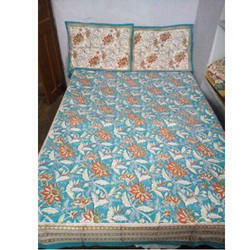 Offered Jaipuri Double Bed Sheet is designed exclusively as per the requirements of the clients. 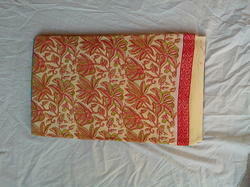 We have gained expertise in offering a quality tested array of Hand Block Printed Single Bedsheet. 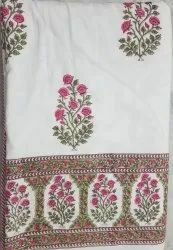 The hand block printed flower Bed Sheet we offer is designed beautifully under the skilled expertise of our designer. These products are suitable for various applications and known for its unique patterns. We are presenting a quality tested array of Designer Printed Single Bed Sheet. The Designer Printed Single Bed Sheet we offer is widely demanded amongst the clients for its availability in various sizes, designs and patterns. Exclusively designed these products are able to provide extensive look to the beds. 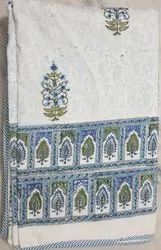 Our clients can avail from us a quality array of Hand Block Print Single Bedsheet. The Fancy Dye Print Fabric we offer is widely demanded amongst the clients for its availability in various sizes and designs. Skillfully designed these products are sourced from leading vendors of the industry. Keeping in mind diverse requirements of the clients, we are offering a quality tested array of Designer Rapid Printed Single Fabric. The Designer Rapid Printed Single Fabric we offer is highly demanded amongst the soft texture. Moreover, these products are designed accordingly as per the requirements of the clients. 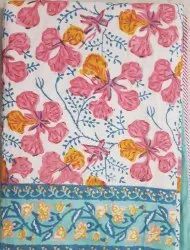 Keeping in mind diverse requirements of the clients, we are offering a quality tested array of Flower Print Cotton Fabric. It is widely demanded amongst the clients for its availability in different colors. Moreover, we assure our clients that a quality tested array is delivered from our end. 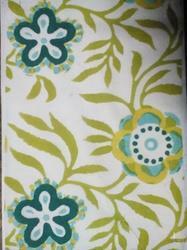 We have gained expertise in offering a quality tested array of Big Flower Block Printed Fabric. 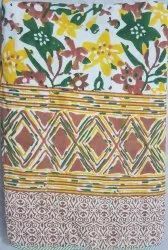 The Big Flower Block Printed Fabric we offer is widely demanded amongst the clients for its beautiful patterns and designs. 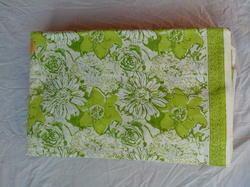 Offered Printed Fabric is known for its beautiful colors. 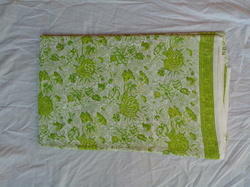 this is very very demanded products in all world sagai hand block printing a famous hand work an all world. We are offering a quality approved array of multi colored procin printed fabric.the multi colored printed fabric.we offer is widely demanded amongst the clients.for it availability these.products are designed under the skilled expertise of our professional. 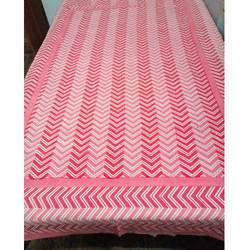 We have gained expertise in offering a quality tested array of Red Booti Printed Single Bedsheet. The Red Booti Printed Single Bedsheet we offer is designed beautifully under the skilled expertise of our designer. These products are suitable for various applications and known for its unique patterns. We are make comfortable bed sheet with peach combination our product are hand-printed best collection for our good client. 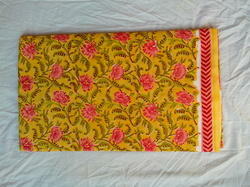 We are engaged in offering a quality tested array of Rapid Hand Block Print Single Bedsheet. It is widely demanded amongst the clients for its beautiful prints. 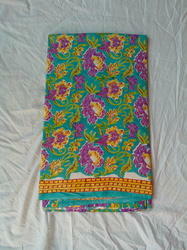 Offered Traditional Print Cotton Fabric is available in various designs and melange of colors. 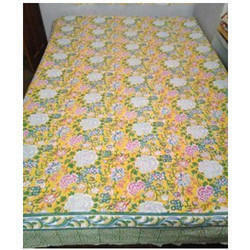 We have gained expertise in offering a quality tested array of Flower Print Single Bedsheet. It is designed beautifully under the skilled expertise of our designer. These products are suitable for various applications and known for its unique patterns.